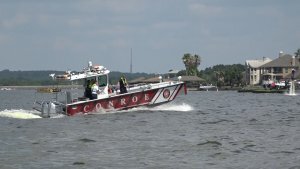 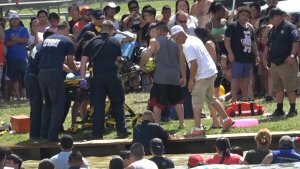 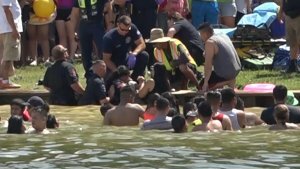 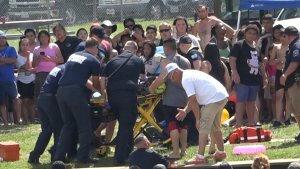 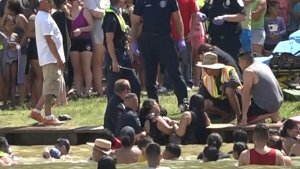 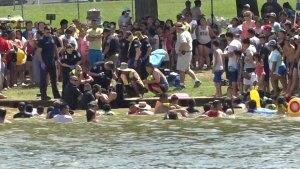 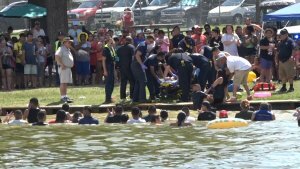 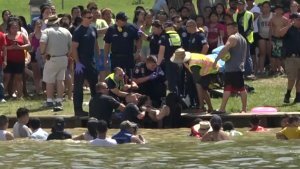 About 3:15 pm a13-year-old female who was swimming at the Montgomery County Park on Lake Conroe had her foot impaled by two nails near the bulkhead under the water line. 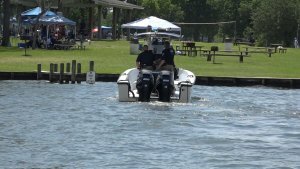 Montgomery County Precinct 1 Lake Patrol was secondes off when the call was dispatched. 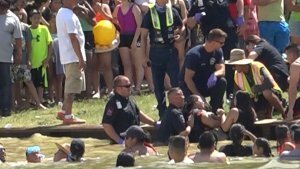 Lt. Cade was first to her. 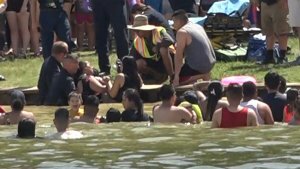 She was up to her chest in water and every little wave coming up to her mouth. 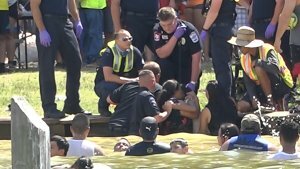 Her mother had been holding her above the water line. 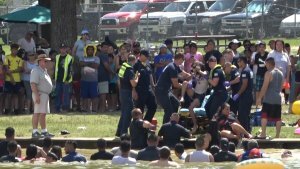 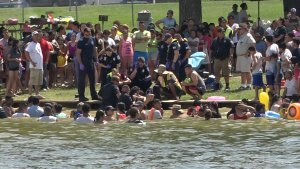 Cade immediately entered the water not even taking time to remove his gun belt complete with radios , cell phone or weapon. 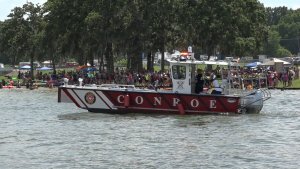 Cade ordered all boat traffic in the cove to cease to stop any additional waves. 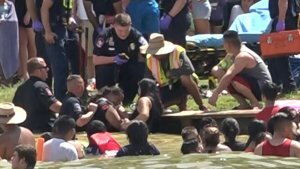 Conroe firefighters worked under the water line and were able to free the young girl from the nails She was transported to the hospital in stable condition. 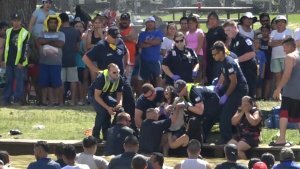 As she was removed from the water hundreds of spectators who had been enjoying the day on the beach broke out in applause.